The Pollard Memorial Library is a vibrant community hub and Lowell’s gateway to knowledge, meeting the information needs and enriching the quality of life in our community. 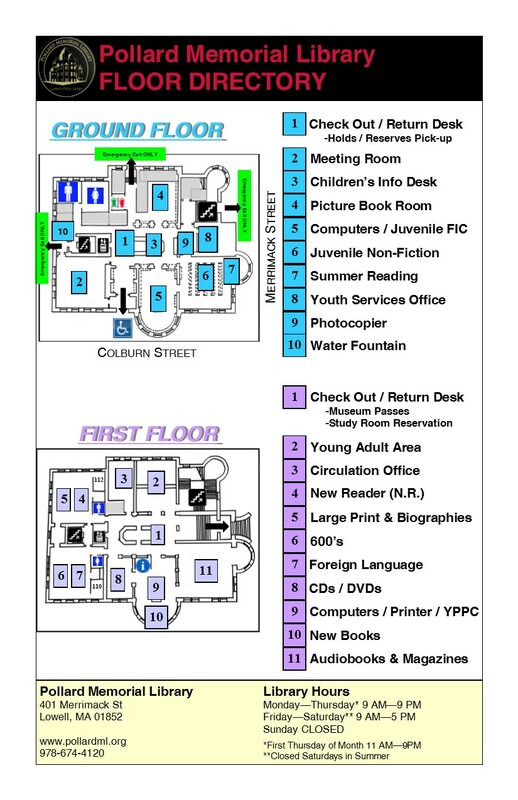 The mission of the Library is to provide diverse collections, state-of-the-art technology, appealing programs and services to Lowell’s diverse population in a safe and welcoming environment. 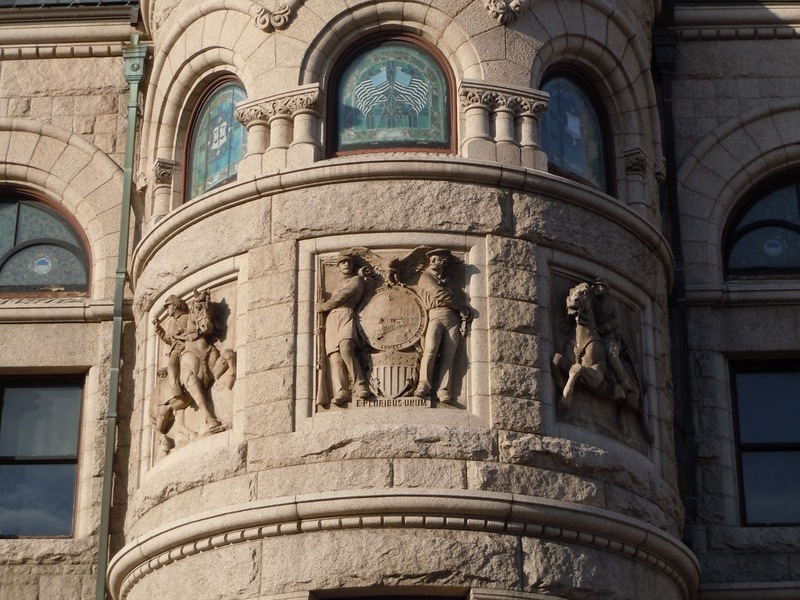 The Pollard Memorial Library is Lowell’s premier information center dedicated to: fostering education and literacy, nurturing lifelong learning, and promoting personal and cultural enrichment. The library offers children of the community active library programming stressing the value of reading and communicating. Students of all ages are provided with information and services to support all academic levels. The library also offers an array of programming for adults, including speakers, workshops, films, and discussion groups. Please visit our Events Calendar for more information about upcoming programming. Since 1984, the Pollard Library has also operated a robust Adult Literacy program providing free, confidential one-on-one tutoring for hundreds of Greater Lowell residents. If you would like more information about how to improve your English or reading skills please visit our Adult Literacy page. For more information on how to get involved as a tutor please visit our volunteer page. The Pollard Memorial Library’s collection has grown from the 3,500 volumes held in collection when it was opened in 1844, to today’s collection of approximately 240,408 volumes, plus videos, CDs, DVDs, microfilm collections and museum passes. The Pollard Memorial Library is also a proud member of the Merrimack Valley Library Consortium. 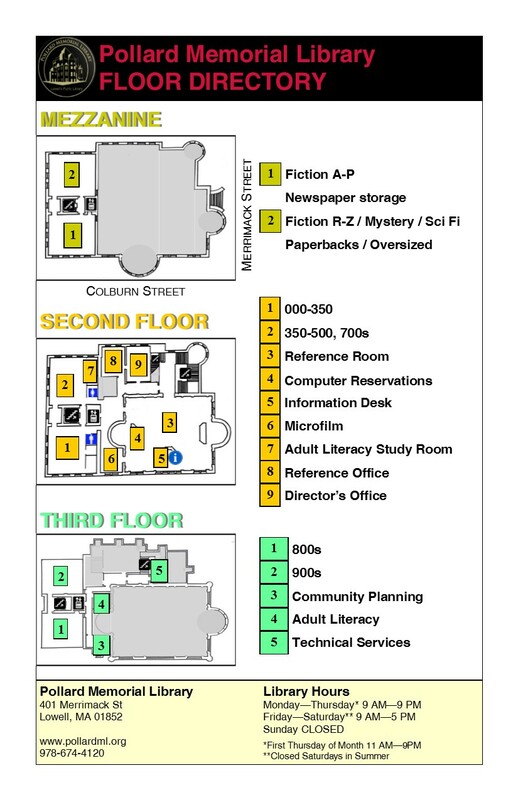 MVLC gives Lowell residents direct access to the holdings of 36 libraries in the region. Circulation of materials amounts to almost 207,326 annually, with approximately one-third of this activity occurring in the children’s collection. For more information about our collection please visit our Collections page. Lowellians! This is your library! We want to be sure we’re doing all we can to meet your informational needs. So, please send us your requests, suggestions, compliments or complaints. Let us know how we’re doing. What else we might be doing. Or your overall thoughts.